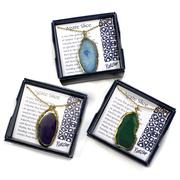 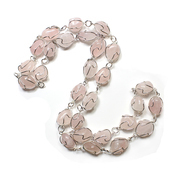 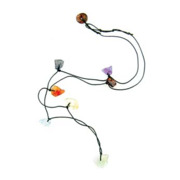 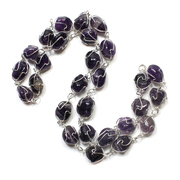 Gemstone necklaces are some of the most beautiful and sought after pieces in our collection. 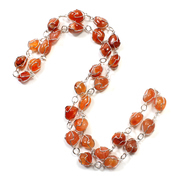 Not only do they look fantastic, especially when paired with a matching bracelet, but many people believe that they also have healing properties for both your body and soul. 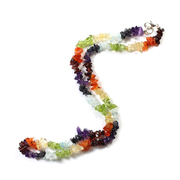 Our most popular necklaces are our chakra style, featuring seven different colours to represent the seven different energy centres in the body. 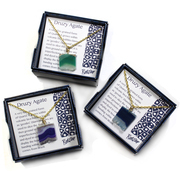 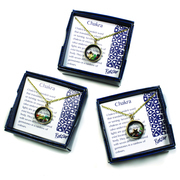 These necklaces serve as a reminder of our essence beyond the commercial, material world, and help to keep us focussed on our spiritual wellbeing as well as our physical comforts. 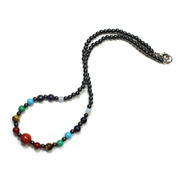 Chakra necklaces are available as polished hematite, for a sophisticated look, or as gemstone chips, for a more free-spirited feeling.